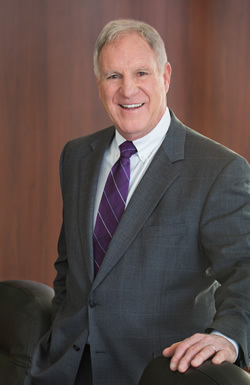 Dennis Murphy’s experience commenced in 1972 and includes the representation of employers in every aspect of labor and employment law. It includes both trial and appellate advocacy and counseling. He has appeared before the United States Supreme Court, before many state and federal appellate courts, in numerous jury trials and before most of the governmental agencies that handle labor and employment issues. Additionally, he has represented employers in every aspect of union-management issues. His clients have included a professional sports organization, the state legislature, soft drink bottling companies, transportation companies, construction companies, universities and law schools, insurance brokers and others. Dennis successfully represented the California State Assembly in two high profile sexual harassment cases - Holman vs. Connolly and Boyd vs. Conroy. He has appeared before the United States Supreme Court in Concrete Pipe and Products vs. Construction Laborers Pension Trust. He is a member of the American Bar Association, the State Bar of California and has served as a panelist and moderator for the California Continuing Education Bar Labor Law presentations. Since 1986, Dennis has been rated AV Preeminent® by Martindale-Hubbell. He is named in the 2014 through 2019 editions of The Best Lawyers in America and is listed as a Super Lawyer in the 2005, 2006, and 2011 through 2018 editions of Northern California Super Lawyers. He was named in the Sacramento Business Journal’s 2013 and 2014 “Best of the Bar” list which recognizes top attorneys who have been nominated by their peers and vetted by a panel of their peers and he was named in Sacramento Magazine's Top Lawyers List in 2015, 2016, 2018 and 2019. Dennis received his B.S., Engineering and his J.D. degrees from the University of California, Los Angeles.